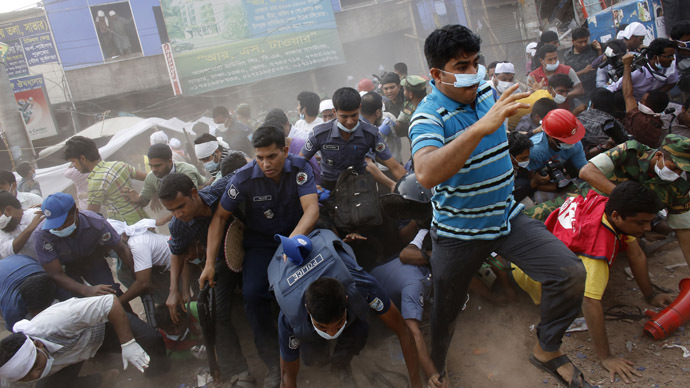 Thirty two people were killed and hundreds injured as a rally in the capital of Bangladesh turned violent. 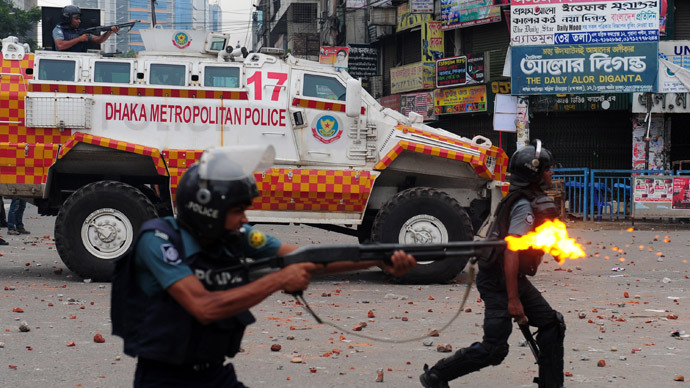 Police used tear gas to disperse thousands of Islamist protesters in the streets of Dhaka who demanded execution for “blasphemous” blogging. The protesters are reportedly the activists from the Hefajat-e-Islam group, which blames some Internet users for blasphemy; accusing people of using their blogs to spread atheism and apparent lies about Islam. 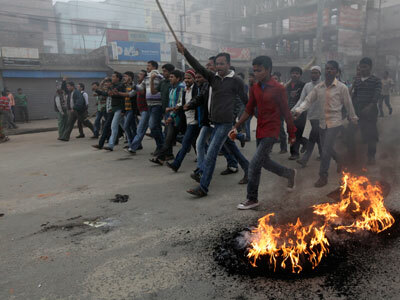 "One point, One demand: Atheists must be hanged", chanted the demonstrators as they marched along at least six highways, blocking transport between Dhaka and other cities and towns. 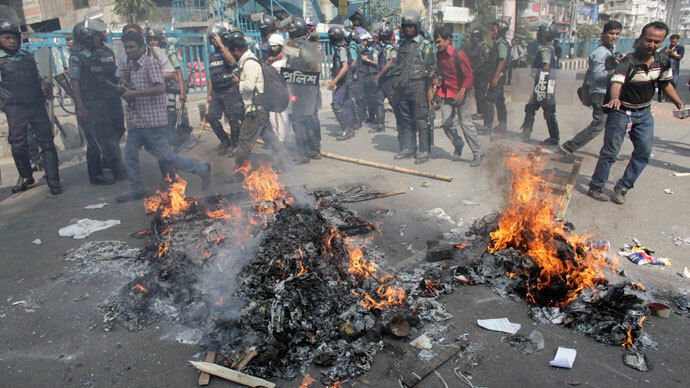 The demonstrators gathered in the capital’s Motijheel commercial district, amounting to between 150,000 to 200,000 people according to AFP. On their way, they set shops and vehicles on fire, according to police accounts. Police used rubber bullets and tear gas to disperse the protesters after they reportedly set off homemade explosives and threw stones at security. 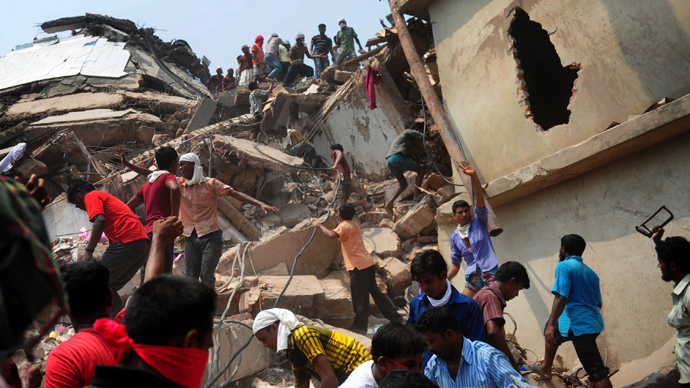 Local authorities had to deploy more than 15,000 security forces to the area. The members of the radical Islamist group demanded the death penalty for those who they think defame Islam. The 13-point list of demands also included a ban on the right of women to work outside the household and the prohibition for women to mix with men. The Islamists also demanded the release of those accused of war crimes during country’s liberation war in 1971, which established the sovereign nation of Bangladesh. The government of Bangladesh has declined the group’s demands to enact an anti-blasphemy law saying that the country lives by secular liberal laws. The leaders of Hefajat-e-Islam promised to launch a campaign to dethrone the government unless their demands are met. The radical Islamist group was formed in 2010 to protest the government's secular policies in education and politics. Last month it organized a general strike as well as a gathering attended by hundreds of thousands of activists, during three people died and more than 50 were injured.